The moisture content in agricultural products will affect the quality and safety storage of it. Fungi development happens if the moisture content is not optimum. This paper presents a non – destructive, simple, fast and low cost interface circuit to measure the moisture content of paddy grains heated in different temperature. The arrangement used is a high precision impedance converter. Ceramic capacitors of different values were used to standardize the measuring circuit. Using this circuit, moisture content of representative standard grown samples was measured and dielectric constant was calculated. A moisture meter developed using this circuit can be implemented to measure the moisture content of any grains. The paper discusses the working principle, technique, methodology and experimental set up used and the results obtained. Moisture content measurement; non-destructive; parallel plate capacitor sensor and grains. Chari V Kandala and Jaya Sundaram,“Nondestructive measurement of moisture content using a parallel plate capacitance sensor for nuts and grain,” IEEE Sensors Journal, vol. 10, no. 7, pp. 1282- 1287. July 2010. Chari.V. K. Kandala and S. O. Nelson, “Rf impedance method for estimating moisture content in small samples of in-shell peanuts,” IEEE Transaction on Instrumentation and Measurement, vol. 56, no.3. June 2007a. Nelsont, S.O., “Use of electrical properties for grain-moisture measurement”. Journal of Microwave Power, 12(1), pp.67-72. 1977. Nelson, S.O., “Dielectric properties of agricultural products-measurements and applications”. IEEE transactions on Electrical Insulation, 26(5), pp.845-869. 1991 	Nelson, S.O., Kraszewski, A.W., Trabelsi, S. and Lawrence, K.C., “Using cereal grain permittivity for sensing moisture content”. IEEE transactions on instrumentation and measurement, 49(3), pp.470-475. 2000 	Nelson, S.O. and Trabelsi, S., “ Historical development of grain moisture measurement and other food quality sensing through electrical properties”. IEEE Instrumentation & Measurement Magazine, 19(1), pp.16-23. 2016. Jishun Jiang and Hua Ji , “Modeling of moisture test for grain based on neural network and dielectric loss factor,” IEEE Computer Society ,Second International Symposium, on Computational Intelligence and Design. November 10 2009. Ki-Bok Kim, Jong –Heon Kim, Seung Seok Lee and Sang Ha Noh, “Measurement of grain moisture content using microwave attenuation at 10.5ghz and moisture density,” IEEE Transaction on Instrumentation and Measurement vol.51,no.1, February 2002. Nelson, S.O. and Bartley, P.G., “Measuring frequency-and temperature-dependent permittivities of food materials”. IEEE transactions on instrumentation and measurement, 51(4), pp.589-592. 2002 	Nelson S O., “Agriculture application of dielectric measurements”. IEEE Transaction on Instrumentation and Measurement vol.51, no.4, pp. 688-702. May 2005. R K Tripathi, M Gupta and J P Shukla,”Capacitance technique for measuring moisture content using dielectric data- an immersion method”, ICDL International conference on conduction ad breakdown in dielectric liquids, Roma, Italy, pp. 440-442. July 15-19, 1996. Y .Mizukami, Ysawai, Y Yamaguchi, “Moisture content of tea leaves by electrical impedance and capacitance,” www.sciencedirect.com, Biosystems Engineering, vol.93, No.3, pp. 293-299. 2006 	Keiji Tsukada and Toshihiko Kiwa, “Magnetic measurement of moisture content of grain”, IEEE Transaction on Magnetics, vol.43, No.6, June 2007. Chari. V. K. Kandala, “Moisture Determination In Single Peanut Pods By Complex RF Impedance Measurement,” IEEE Transaction on Instrumentation and Measurement vol. 53, no. 6, pp. 1493–1496. 2004. Chari. V. K. Kandala, C. L.Butts, and S. O. Nelson, “Capacitance sensor for non-destructive measurement of moisture content in nuts and grain,” IEEE Transaction on Instrumentation and Measurement, vol. 56, no. 5, pp. 1809–1813. October. 2007b 	Kandala, C.V. and Butts, C.L., “February. Design and performance of an impedance analyzer for nondestructive moisture content determination of in-shell peanuts”. In Sensors Applications Symposium, 2008. SAS 2008. IEEE (pp. 46-50). IEEE. 2008 	Chari V Kandala and Naveen Puppala., “Capacitance sensors for nondestructive moisture determination in grain, nuts and bio-fuel materials,” ICST., U S A. 2012a 	Chari V Kandala and Naveen Puppala., “Parallel plate capacitance sensors for nondestructive moisture content of different types of wheat,” Sensors Application Symposium IEEE Bresua . pp 1-5. February 2012b. Chari V Kandala, Ramesh Avula, Vijayasaradhi and Ronda Srinivasa. “Sensing the moisture content of dry cherries-A rapid and non-destructive method,” Scientific Research, Food and Nutrition Sciences, vol. 4, pp. 38-42. 2013. Divya. Nath, K.. , Sudha Ramasamy,., Saranya Das, Y.M. ,Prabhu Ramanathan, ‘A review on non-destructive methods for the measurement of moisture contents in food items” presented in Circuit, Power and Computing Technologies (ICCPCT), 2015 International Conference DOI:10.1109/ICCPCT..7159367 Publisher: IEEE Digital library. 2015. Saranya Das.Y.M, Divya Nath K, Sudha Ramaswamy & Prabhu Ramanathan “A review on sensor based methods for moisture content determination of agricultural commodities” International Journal of Applied Engineering Research, ISSN 0973-4562 Vol. 10 No.2pp. 1697-1703. 2015. Divya Nath K. , Prabhu Ramanathan ,"Non-destructive methods for the measurement of moisture contents – a review", Sensor Review, Vol.37, no.1, pp.71–77. 2017 	Divya Nath K. , Prabhu Ramanathan ," A Novel Approach to Measure Moisture Content of Paddy ", Journal of Engineering an.d Applied Sciences (JEAS), “accepted” 2017. ISNAD NATHK, Divya , RAMANATHAN, Prabhu . "A Simplified and Portable Capacitance Sensor to Measure Moisture Content of Paddy". 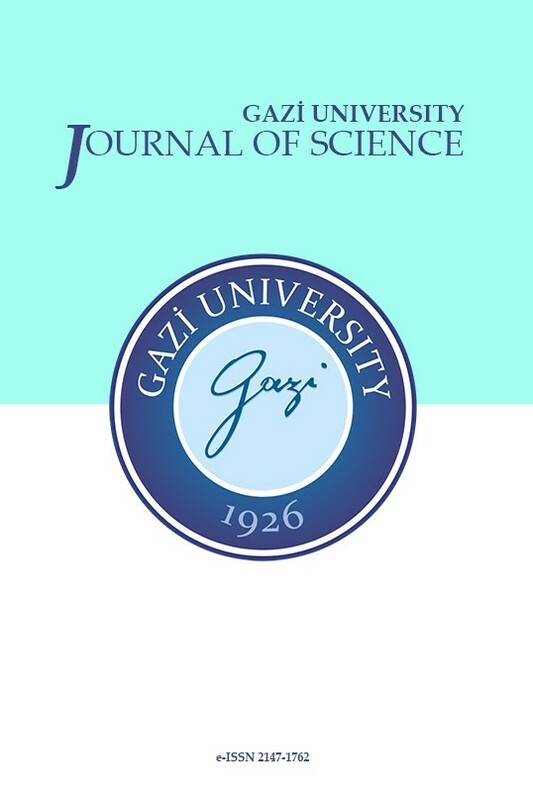 GAZI UNIVERSITY JOURNAL OF SCIENCE 31 / 3 (September 2018): 821-829.